It’s 1975, and Joseon (Korea) is struggling. The country relies heavily on imported goods from Japan to sustain the economy, particularly silver. Yet when a deluge of counterfeit silver currency enters circulation, Joseon’s very existence comes under threat. Detective Kim Min (Kim Myeong-min (김명민) and his trusty sidekick Seo-pil (Oh Dal-soo (오달수) are sent to investigate, however instead of being rewarded for his efforts the sleuth is bizarrely exiled onto a tiny island. 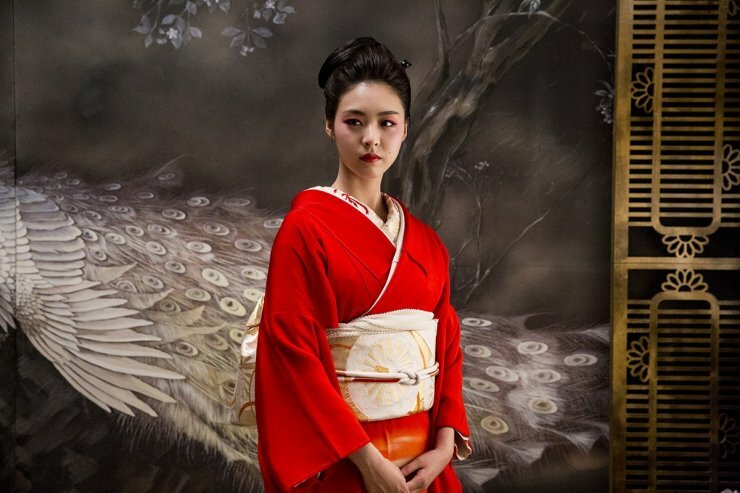 There he befriends young servant girl Da-hae (Lee Chae-eun (이채은) whose sister has mysteriously disappeared and, disregarding his royal punishment, sets out to solve the both the counterfeit silver and kidnap conundrums, yet what role does Japanese giaseng Hisako (Lee Yeon-hee (이연희) play? Comedy-sequel Detective K: Secret of the Lost Island is much like the original – colourful and madcap, sporadically humorous, and tonally all over the place. Kim Seok-yoon steps back into the director’s chair bringing all the same strengths and weaknesses as before, resulting in halfhearted yet quite amiable Sunday matinee fare. One of the great strengths of Detective K: Secret of the Virtuous Widow was the tongue-in-cheek nature of the comedy combined with an OTT pretentious hero who, more often than not, was a victim of slapstick situations of his own making. Detective K 2 delivers much the same, as investigator Kim and loyal sidekick Seo-pil are caught in farcical situations that end in silly humiliations. However as much of the original’s charm has dissipated, such encounters provoke titters rather than laughs. This is often due to a lack of gags and set pieces, but primarily a consequence of the relationship alteration between the lead duo. 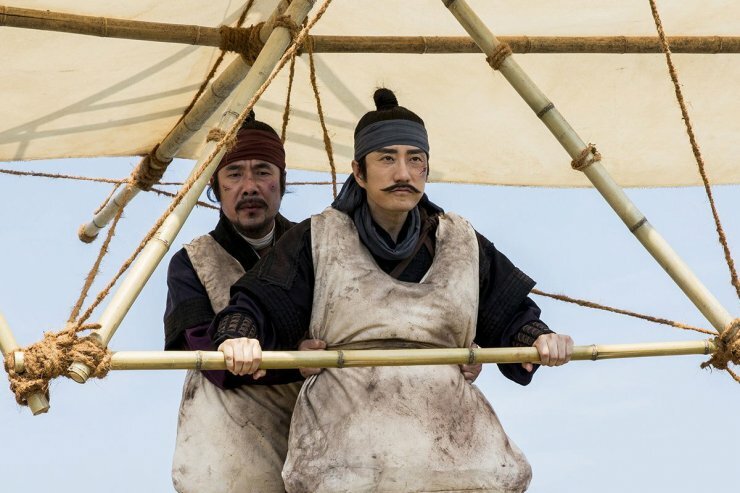 In the first instalment the pair frequently clashed, comedically employing misdirection as their friendship developed, yet in Detective K 2 they are close comrades and the chemistry has dulled as writers Kim Su-jin and Lee Nam-gyoo have characterised the duo as more serious, and sometimes downright mean, in nature. Actor Kim Myeong-min still hams it up as the arrogant sleuth as best he can despite given far less opportunity to do so, while his frankly horrible characterisation towards servant girl Da-hae makes him quite dislikable as well as detracting from his journey to solve the case. Meanwhile Oh Dal-soo tries desperately to make his character more relevant in a story that largely regards him as a prop. Detective K 2, while competently helmed by returning director Kim Seok-yeon and featuring the same impressively zany and colourful interpretation of old Korea, contains tonal imbalances even more severe than the previous instalment. In the original the largely fun narrative gave way to a story about religious persecution which diluted the light-hearted appeal; in the sequel however the case involving counterfeit silver gives way to themes involving prostitution, child slavery and murder, and paedophilia. Such issues are not appropriate nor ripe material for a slapstick adventure like Detective K and naturally the film suffers for it. 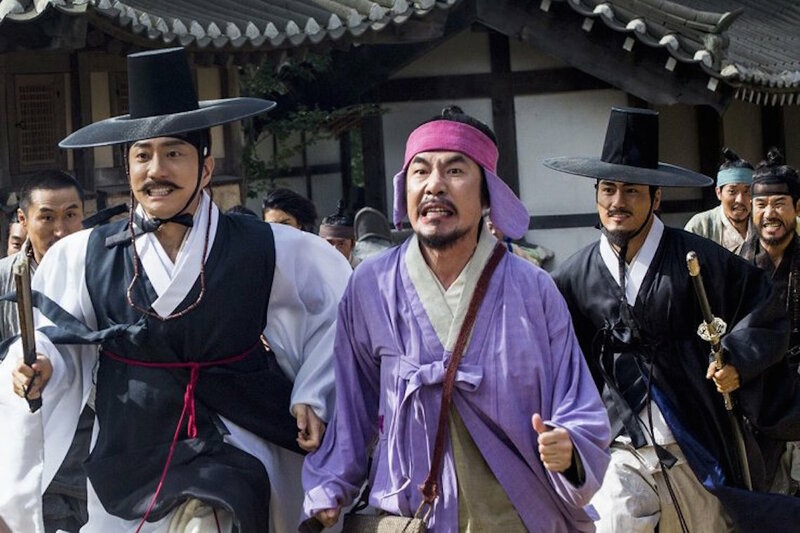 Despite such concerns, Detective K 2 is generally a well-made and jovial jaunt through old Joseon. The film consistently features attractive set designs and amusing comedy set pieces, enough to consider it an enjoyable, if largely forgettable, viewing experience. That said, if director Kim Seok-yoon wishes to return and complete a successful final instalment for a Detective K trilogy, the tonal imbalances, characterisation, and a female role that requires the respective actress to do something other than look attractive, is an absolute necessity. 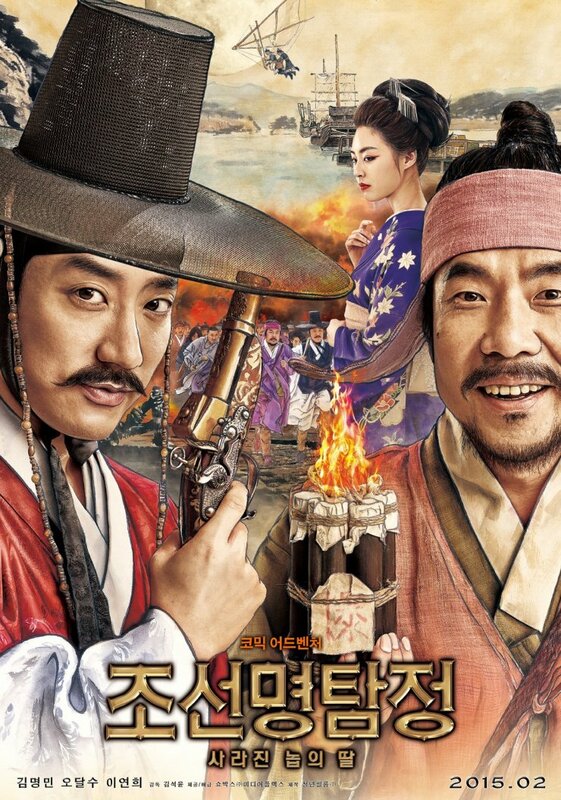 Comedy sequel Detective K: Secret of the Lost Island is a zany and cheerful jaunt through old Joseon, much like its predecessor only less so. While returning director Kim Seok-yoon helms the shenanigans competently, the film suffers greatly from mismanaged characterisation as well as employing weighty themes involving child murder, slavery and prostitution. Sporadically humorous, Detective K 2 is amiable, yet quite forgettable, matinee fare.